At IVJS, we are committed to the spiritual, moral, social and cultural development of the children. We aim to prepare them to take a full role in society as confident individuals and good citizens. We have daily assemblies in our school. 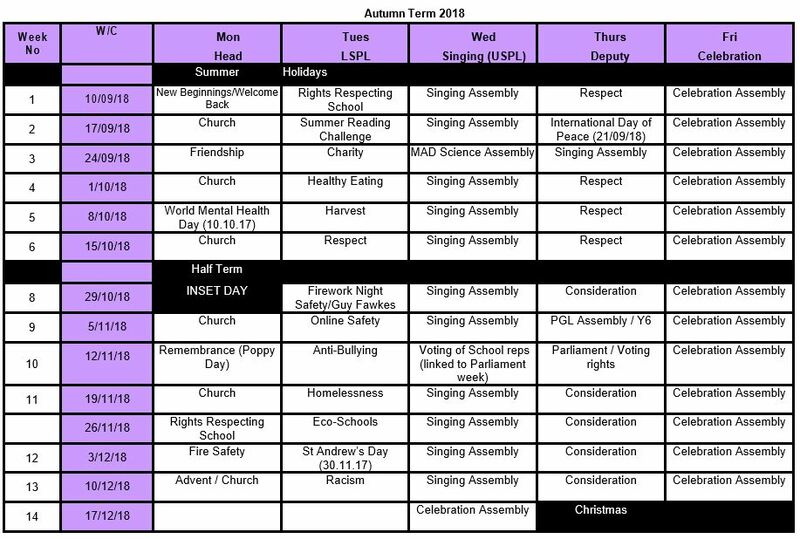 We have an assembly on Mondays lead by either the head teacher, the lower school lead on Tuesdays, singing assembly on Wednesdays and class assemblies on Thursdays. Then Fridays are used for whole school assembly and this is a time that we use to share in the celebration of different pupils' achievement. Classes and individual pupils are recognised and rewarded for a variety of different aspects of our school life. For example, classes win biscuits for the highest attendance and classes win the shield for their dedication and focus that week.